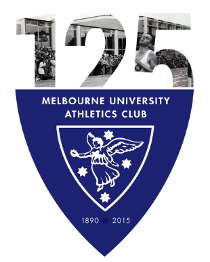 Melbourne University Athletics completed a successful interclub season with two teams enjoying podium finishes at the Athletics Victoria Shield Final on Saturday, 13th of February at Rieschieks Reserve, Doncaster. MUAC had teams in four of the five open divisions and was one of only three clubs in Victoria with a team in the Division 1 final for women and men. Forty MUAC athletes ran, jumped, threw and walked in the pursuit of team and personal glory at the pinnacle of the Athletics Victoria interclub track and field competition. Melbourne University Athletics Club came third in the elite Mens Division 1, behind perennial powerhouses Glenhuntly and Box Hill, and third in Mens Division 3, showing great depth throughout the events. The MUAC women finished fourth in the premier Womens Division 1 and sixth in Womens Division 2 as one of only three clubs to have teams in both open women’s divisions. There were many fine individual performances by MUAC athletes at Doncaster. Women’s Team Captain Jacquie Sharples continued her great form in the 400m hurdles to win in 65.25. Hannah Alderton and Jannelle O’Sullivan took out equal first place in the Division 1 high jump clearing 1.70m each. Carmen Deane dominated the Division 2 high jump to win comprehensively, leaping 1.60m. Janelle O’Sullivan carried her winning form into the Division 2 long jump, to win with a leap of 5.08m. Paul Kennedy stormed to the front in the 3000m walk and never looked back to win in 14:15. Mitch Mackenzie leapt a season’s best 1.90m in the high jump for equal first and came close to a clearance at 1.95m, the national qualifying height. Jarrod Pageot took out the long jump with 6.35m. Neal Borg won the Division 3 200m in 24.12. In terms of the numbers of teams that qualified for these finals and the numbers of athletes who competed, this has been one of MUAC’s most successful summer seasons for many years and hopefully sets a great platform for the 2010 winter and next summer’s club competitions. 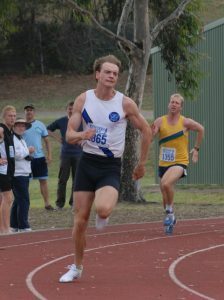 Interclub athletics may be over for the season but there is much more to come for MUAC athletes. The State Open Championships, the State Relay Championships, the National Championships and many more meets are coming up in the next two months.